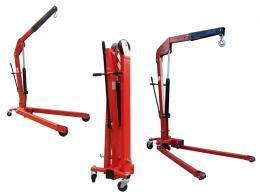 What is the Purpose of the 2000kg Folding Workshop Crane? 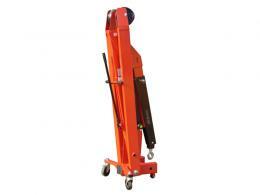 This heavy duty workshop crane is designed to lift loads of up to 2000kg. When not in use, this crane folds for storage, clearing up valuable space and protecting workers from accidental injury. 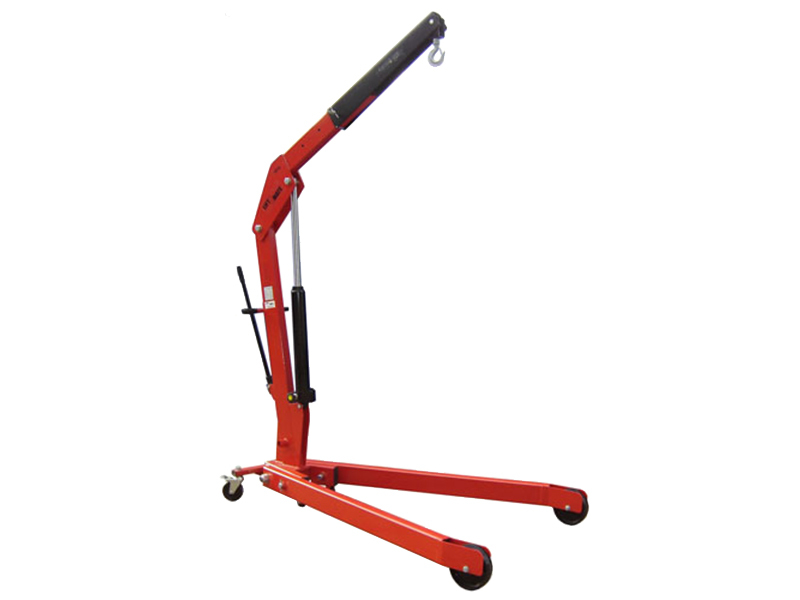 Powered by hydraulics, this crane quickly and easily lifts loads with its durable hook and dual action lift pump. The 2000kg crane is our largest heavy duty workshop crane, suitable for lifting large engines and other heavy machinery. This product might be used in many different industrial settings, particularly those that require lifting very heavy objects. A heavy duty workshop crane such as this one is also useful in small spaces because it folds when not in use. Small garages, workshops, and factories might be ideal locations for this product. It can also be used in tight spaces at construction sites. The possibilities are endless with this versatile crane. 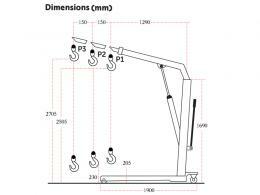 Many different industrial professionals might use this crane for their heavy lifting needs. Employees in the settings mentioned above can use this crane for lifting, and then fold it for storage when it’s not in use. Professionals in the automotive industry, construction, and various other industries might use this durable equipment. Factory owners and workshop managers might purchase this product for its heavy-duty lifting capabilities and versatility.